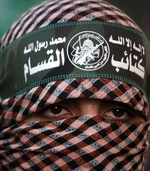 With roots in the Muslim Brotherhood, which seeks a transnational caliphate under Islamic law, the Palestinian terrorist group Hamas (an Arabic acronym for "Islamic Resistance Movement") has murdered hundreds of Israelis and a number of Americans since it was formed in 1987 at the start of the First Intifada. 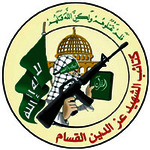 The declared objectives of Hamas are to destroy Israel as a Jewish state, establish an Islamic state in its place, and fly "the banner of Allah over every inch of Palestine." 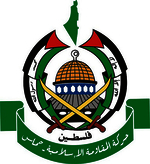 Hamas won Palestinian elections in 2006 and has controlled the Gaza Strip since 2007, when it violently broke with the rival Fatah party of President Mahmoud Abbas. 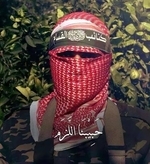 The "military wing" of Hamas is the Izz ad-Din al-Qassam Brigades. 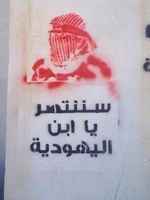 Hamas has American supporters: In 2001, the U.S. government shut down the Holy Land Foundation for Relief and Development, a Texas-based charity that was later convicted of funneling millions to the terror group. 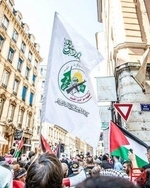 Several American Muslim entities, including the Council on American-Islamic Relations and Islamic Society of North America, were labeled as unindicted co-conspirators in the trial.